Interesting to watch the tactics used in the Off Road Triathlon on Sunday especially when it came to picking a line for the beach run! Congrats to all the competitors who finished. There were a few mechanicals along the way & a couple of lap counting oops moments, but everyone enjoyed the morning. A huge thank you to: RD Luke Fronsko who spent hours setting up the course (and dismantling afterwards); Louise Lamb & Diane Napier who handled check in; Sarah Huddlestone on fruit | ice; Elliot Bolitho on marshalling; Margaret Black who did a mercy dash for more drinks and Robson Bond & Cherie Whitbread who braved jet lag to assist at our drink station. We also appreciated the many people who helped with set up and pack down of transition on the day. Thank you! 1. 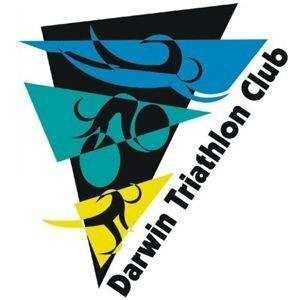 Good luck Aaron Trenfield, on the start list for Murray Man Long Course Triathlon this weekend. 2. 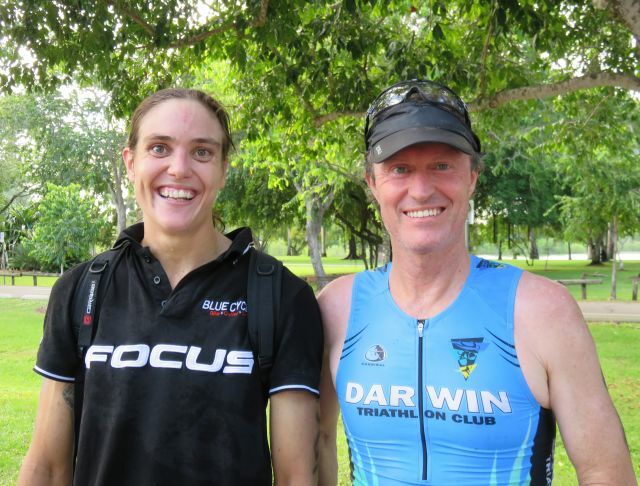 Daryl Stanley & Glen Scholz had a ball (albeit a grubby, muddy, tough one) at Xterra World Championships recently. Here's Glen's video of his day. 3. The ACCC is inviting submissions for its review of the mandatory safety standards for pedal bicycles. Submissions can be made online at the ACCC Consultation Hub and will be accepted until Friday 9 Dec 16. 4. ACCC also after submissions for review of helmet safety standard. Submissions via the consulation hub and due 18 Nov 16. 5. A UK PhD Sports Researcher Paul Anstiss has written seeking participants for his survey researching psychological factors in endurance sports with a goal to improving endurance athlete's enjoyment and performance. 6. Nightcliff Primary School Bike Hospital is now open. 8. Club custom tri gear order expected any day now. 9. Club cotton Tee Shirts expected by end of next week. 10. The first of our Aquathlon Series is coming up soon. Not up to 200/2 x 2? You can drop to x 1 if you wish - just let us know at check in that's what you are doing. 11. And a little reminder to let us know if you pull out or cut the course short - helps with results if we know about it.